We took our daughter to see the movie ‘Inside Out’ when it first came out. We loved the movie. It was filled with so much emotion. Tears streamed down my face for a good portion of the movie. The funny thing is my tears began before the movie even started. There was a lovely musical short in the beginning of the movie about a lonely volcano. I became slightly obsessed with the song in the short & have been playing it over & over again. Last night we were singing the song & she insisted that we had to make a volcano craft out of her feet. As I have told you before she really loves the foot crafts. 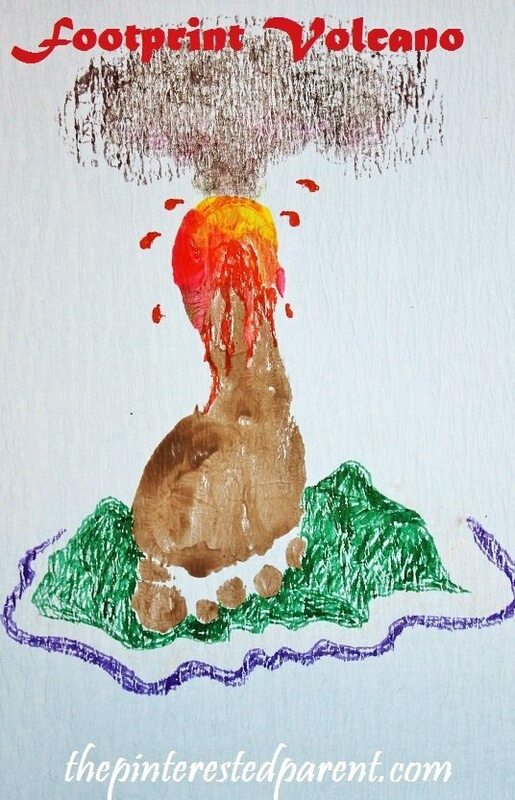 Here is how we made our footprint volcano. Paint your child’s foot mostly brown with red & yellow at the heel. 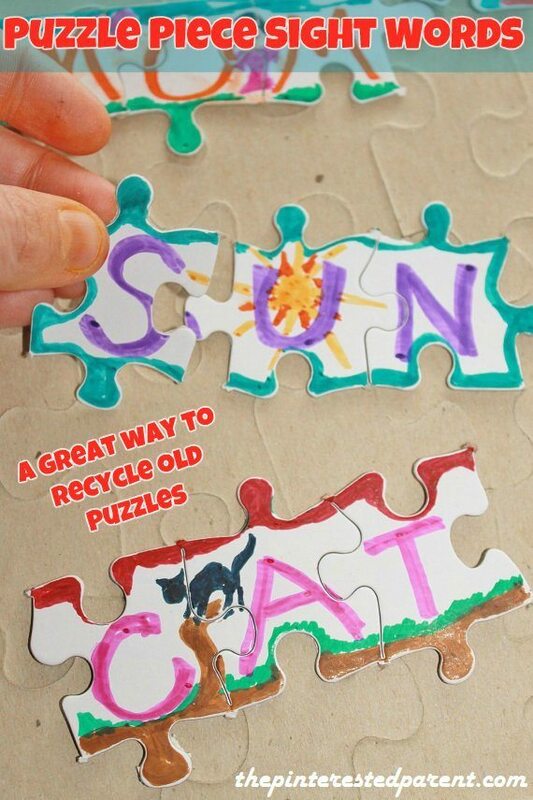 Press it into a piece of paper & let it dry. 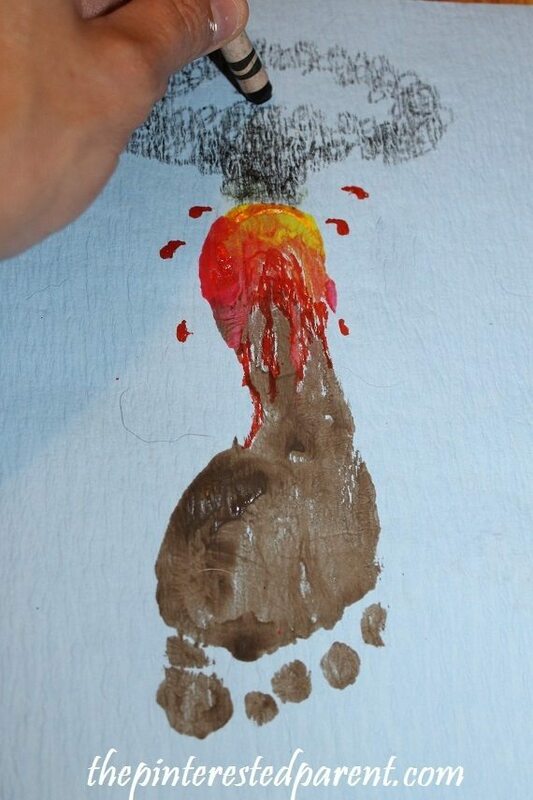 Use red magic markers to draw in the dripping & spattering lava. Use markers or crayons to form the smoke. Draw an island around your volcano.